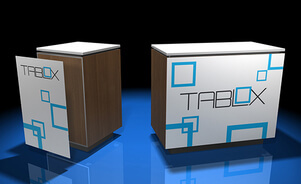 The Tablox™ table system is Skyline’s ® newest modular tables that install in 5 minutes or less and without tools. These tables and counters offer a custom look and are well thought out and well made. It has built in wire management so wires/cords are out of sight and the whole system packs flat. Tablox™ tables can also be lit up with LED lights to complete your table and counter needs. 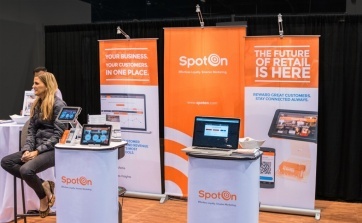 Stratus® tables setup in minutes without tools! It’s lightweight yet very sturdy supporting up to 100 lbs. (45kg) of literature, product, etc. It also has over 18 cubic feet of storage capacity, lockable doors and pull-out keyboard tray. 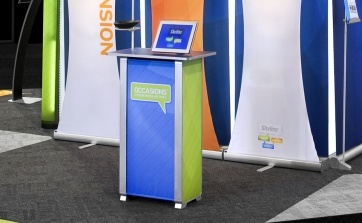 Arrive® cases can hold your banner stand display, along with accessories and graphic wrap, then transforms your case into a branded workstation. 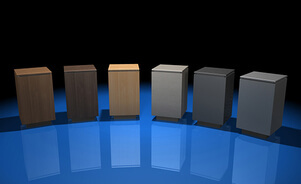 The cases feature a table top, graphic wrap, integral shelf, wire management and optional accessories to fit your needs. 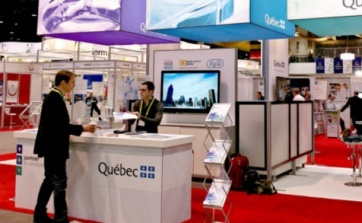 PictureCube® is an easy way to grab attention on show floor. 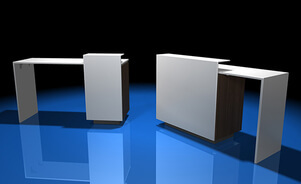 Backlit systems are offered in a 23” table, 46” workstation or 69” reception counters. Smooth, solid work surface is available and can support up to 50 lbs. (22.68 kg). 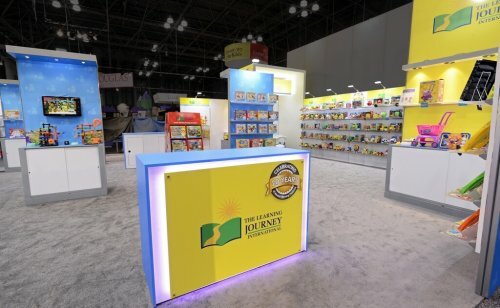 Occasions® tables offer easy-to-install accessories including shelves for showcasing product; literature holder and digital screen mount for presentations. Built-in are two 9″ x 14″ inch shelves that provide concealed storage for easy access. A table fits into a soft-sided shipping case that has a handle and shoulder strap for easy transport. 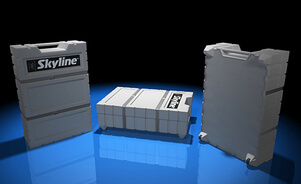 Skyline’s patented Slide-Connect technology allows for quick and easy installation. Panels simply slide together and lock into place for a clean, seamless look. 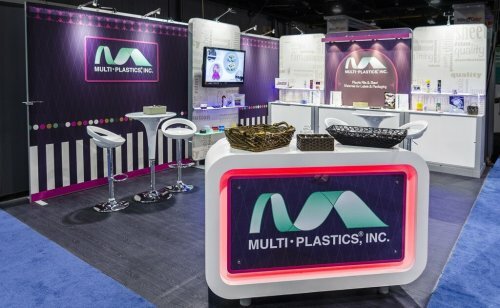 Engage® panels are available in hundreds of textures and colors available to fit any brand and look. Clear and frosted panels are also available. 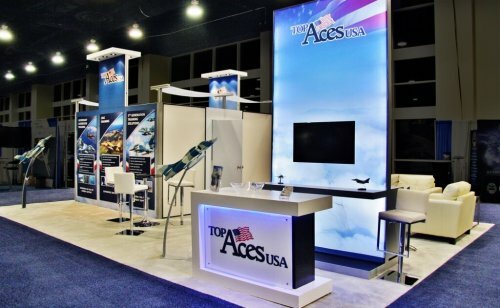 If you don’t have place to store your transport cases then the Utility®, Mirage® and Regatta® conversion kits, are the efficient table solutions you’re looking for. 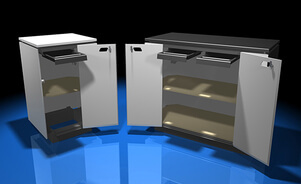 The kits hide and use your transport cases allowing for them to turn into a functional work space. 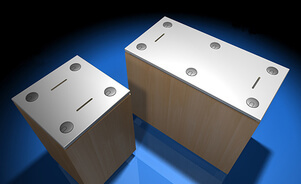 Table top and panels attach quickly and easily with magnets or aluminum shock corded frames. 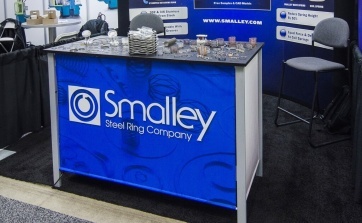 With custom rental tables you can look larger and more impressive than your budget will allow. 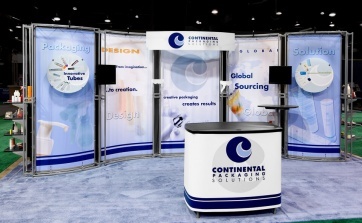 Rental tables can be a great addition to your overall island exhibit or modular inline design. All tables are equipped with LED RGB light strips that allow for the selection of specific colors and special effects. 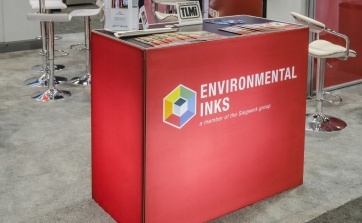 Inkjet stand-off graphics or 3D messaging on table fronts offer a complete custom look. 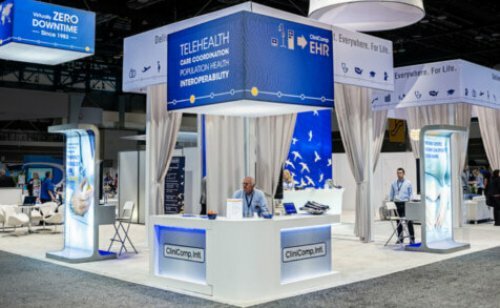 Have a question about our tables & counters?